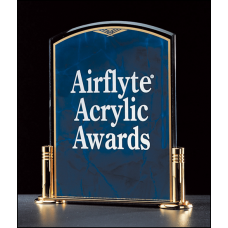 The newest members of the Airflyte family are acrylic awards. 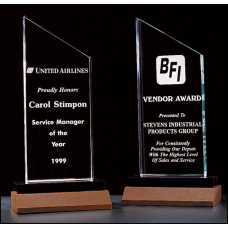 Hand-polished, cast acrylic awards are the hottest recognition awards introduced in years. 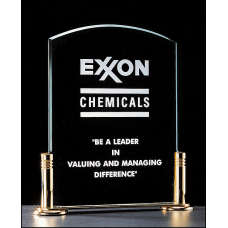 All acrylic awards can be engraved with logos or artwork to fit any recognition program. A1817-X Airflyte Series 3/16" thick acrylic award with CAM medallion on a gold-plated brass base with columns. A1842 Airflyte Series 3/16" thick acrylic award on a gold-plated solid brass base with columns. A1850SA Airflyte Marble Design Series 3/16" thick sapphire acrylic award on a gold metal base with columns. 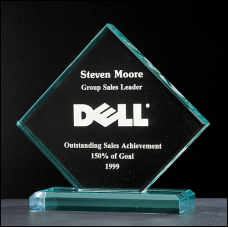 A2150 Summit Series 3/4" thick acrylic Diamond award on acrylic base. 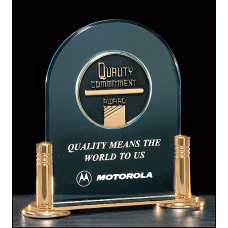 A3107 Small Zenith Series 3/4" thick acrylic award on a solid walnut base in jade or clear acrylic. A3109 Medium Zenith Series 3/4" thick acrylic award on a solid walnut base in jade or clear acrylic. A3111 Large Zenith Series 3/4" thick acrylic award on a solid walnut base in jade or clear acrylic. A3253 Small Crushed Ice Series 3/4" thick acrylic award on acrylic base. 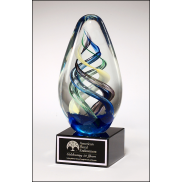 A3255 Medium Crushed Ice Series 3/4" thick acrylic award on acrylic base. 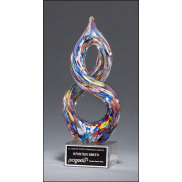 A3257 Large Crushed Ice Series 3/4" thick acrylic award on acrylic base. 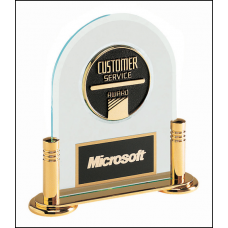 A3345 Small Diamond series 3/4" thick acrylic award on acrylic base available in jade or clear acrylic. 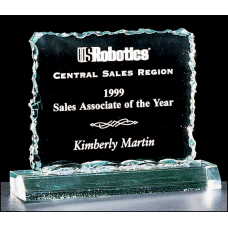 A3347 Medium Diamond series 3/4" thick acrylic award on acrylic base available in jade or clear acrylic. 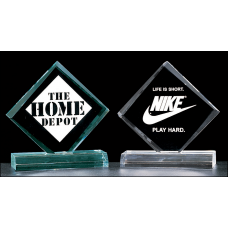 A3349 Large Diamond series 3/4" thick acrylic award on acrylic base available in jade or clear acrylic. 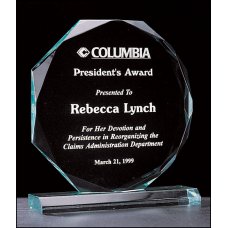 A3806 Small Octagon Series 3/4" thick acrylic award on acrylic base.